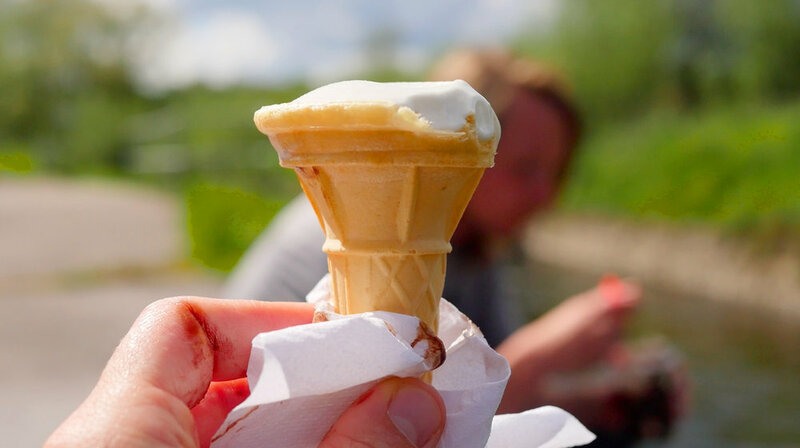 When weâ€™re hiking/travelling on a tight budget, food is our major cost. Over the course of this project weâ€™ve had varying money budgets, but generally our goal for all expenses broke down to; 2017 spending a maximum of â‚¬10 each a day (â‚¬140 a week total); 2018 spending a maximum of â‚¬20 each a day (â‚¬280 a week total). We often, but didnâ€™t always, carry a stove, so we have a couple of different food fall backs depending on what weâ€™re carrying. 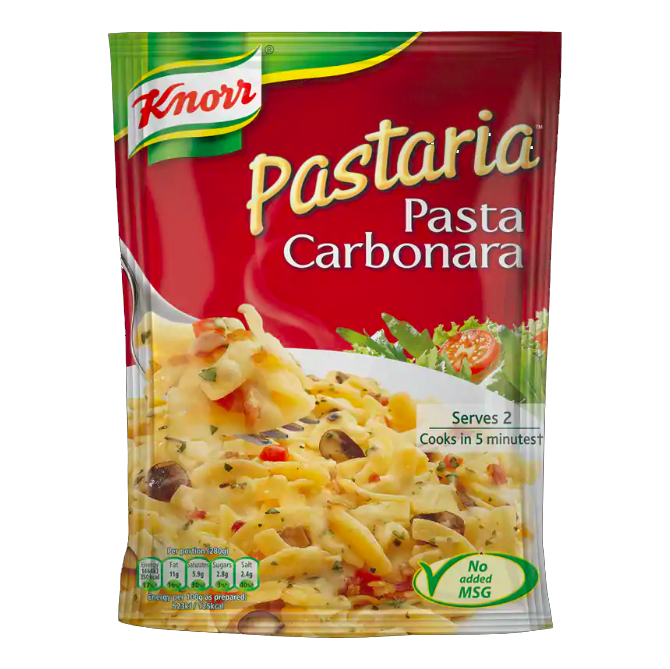 Weâ€™ve used the hiking specific dehydrated food packs, which have been fine, but what we ended up cooking a lot of was Knorrâ€™s dehydrated pastas. Costing between â‚¬1.50 - â‚¬4 per packet, it (or something very similar) was stocked in a lot of places. Itâ€™s not the kind of food that you would particularly notice, but once youâ€™re on the look-out, itâ€™s suddenly everywhere. We didnâ€™t do it as often we we planned, but mixing in chorizo, or any extra foods, made these extra delicious. During the colder months having a stove was really great. Hereâ€™s a little video we made of cooking dinner. We found that most dehydrated food packets like these ones were very salty and would make us very thirsty afterwards. Part of the reason we decided to travel without a stove was because we had to carry so much extra water. Removing the extra water, and the weight of the stove, suddenly there was a lot of extra weight you could carry in other kinds of food! However, there were definitely times I missed being able to boil some water and make our own coffee. If the walking trails in Ireland were more remote than they are I think we would have kept the stove, but typically the longest you would go between towns is two days. 1 cinnamon roll/coffee cake - that we were about to eat for dinner as a follow up to our ice creams. Itâ€™s not perfect, but it works. We try to eat a lot of fruit and dried meats. Usually we also have Lucozade or dissolvable multivitamin tablets that we drop into our water (theyâ€™re super cheap in Tesco!). Of course, not having a stove makes it hard to meet our coffee habits, so whenever we pass through a village or town we normally stop for coffee. Most trails in Ireland arenâ€™t so remote that you donâ€™t go through somewhere regularly, which makes life without a stove pretty easy. It is nice to get hot food, and our usual go-toâ€™s if we stop at a cafe or pub are either porridge, the â€œsoup of the dayâ€� (the maximum a bowl of either would cost is â‚¬5.50), or if itâ€™s a petrol station style place a bread roll with whatever fillings are available. We donâ€™t mind spending money on coffee - itâ€™s not just getting the drink, but it allows us to have a long break, talk to locals, and enjoy wherever we are. Breakfast - typically a banana, and lots of water. Sometimes if thereâ€™s a food thats open in our bags from a day or two ago we might finish that. If weâ€™ve been camping weâ€™re usually just busy packing up all our stuff and getting moving as fast as possible, so we donâ€™t typically have big breakfasts. Lunch/Dinner - regularly we try to plan our day so that if weâ€™re going to pass through a town, we pass through it early in the day. If there is somewhere weâ€™ll have a coffee, and then depending on the time of day, maybe a bowl of porridge/soup or a chicken fillet roll. If thereâ€™s nowhere to stop along the day, weâ€™ll eat food weâ€™ve brought with us. The food we carry for lunch/dinner options would be fruit cakes and chorizo. Fruit cake was the staple of our 2018 diet - itâ€™s in every single shop, in even the smallest of villages. No matter where you go, it will appear in one form or the other - be it a Caribbean ginger loaf, or a madeira orange cake. Typically these kinds of loaf cakes are only â‚¬2, and for a â€œmealâ€� we eat half a cake each. Snacks - Depending on the day, chorizo might move into the snack category. We often have nut mixes and chocolate digestives (we ate a lot of McVities classic caramel digestives - and tried their Banoffee and Caramel ones for some variety. They were kinda weird). Sometimes we might splash out on dried mango. These foods are great for short term, but I wouldnâ€™t recommend living on them the way we did. Towards the end of our walking in 2018 we were really trying to vary up our food - and Iâ€™m not sure if I can ever eat fruit cake again. I remember walking along, daydreaming of salads. I think one of the main reasons we ate like this, is that it does make it very easy when you just have a set food established as your â€˜go-toâ€™. Thereâ€™s no thinking or stressing. Itâ€™s not inspiring, but thats the job of the trail. While weâ€™re not walking weâ€™re eating as many green, fresh things as we can! If you like this blog, you can subscribe to it here!